Provide your guests with clean napkins before they even think to ask for them with the San Jamar H4000XC minifold two-sided tabletop napkin dispenser. Created with functionality in mind, this dispenser is ideal for restaurants that provide their guests with individual napkin dispensers at each of their booths or tables. In addition, it is the perfect solution for establishments famous for their messy hamburgers or giant ice cream cones that require lots of napkins. With a 170 minifold napkin capacity, this item can help provide dozens of hungry patrons with napkins without needing to be refilled between each set of guests. 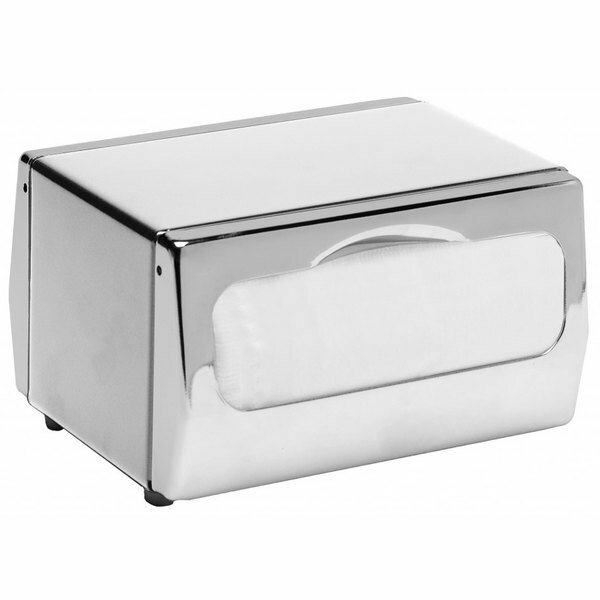 This dispenser also features a sleek and modern all-chrome design. This material resists rust and is sturdy enough to stand up to years of heavy use.